Calicantus is a big family. It is fantasy, friendship and hope. It is education and artistic realization. Singing is a healthy and stimulating activity that fosters growth, creates wellbeing and develops a positive attitude towards life. Sharing, collaborating and rejoicing together in a constructive way are aspects of our children’s lives that must be cultivated and maintained. 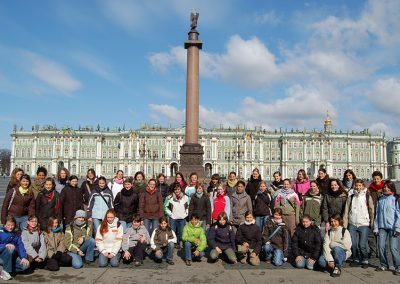 The choir welcomes all children, it becomes a valid aid also for children with slight handicaps or in difficult situations. Calicantus is a group spirit and a sense of belonging! 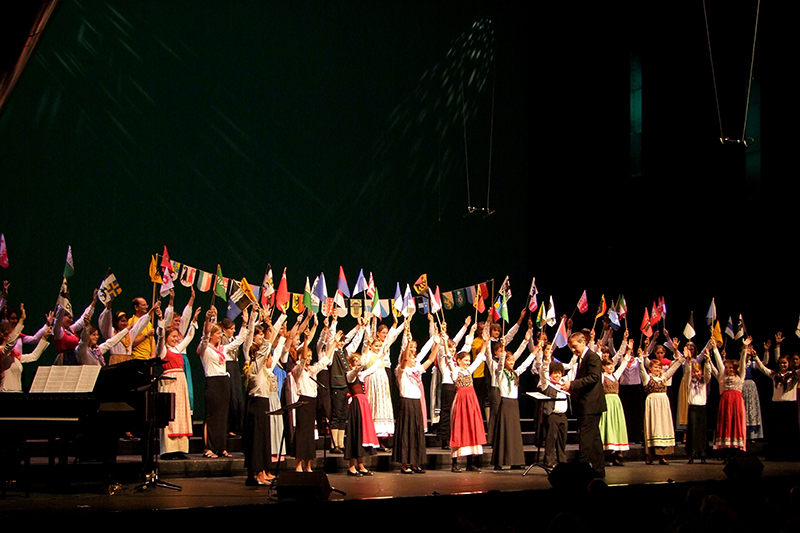 The Calicantus singing school, founded in Locarno in 1993 by maestro Mario Fontana, is attended by 150 students from 4 to 18 years old, organized in four study levels – 3 preparatory choirs, a concert choir – and trains children and young people to sing and perform music of all times. Calicantus is recognized as a music school by the DECS, Department of Education, Culture and Sport of the Canton of Ticino. 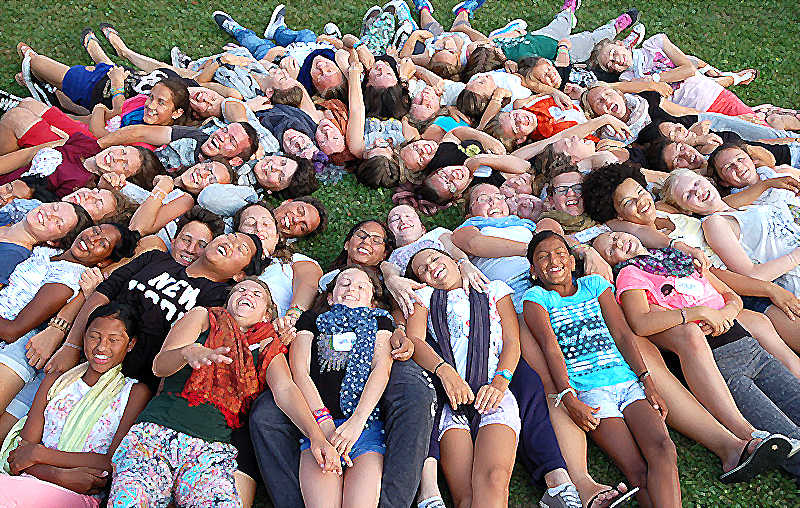 For the youngest children, the choir offers playful activities and various songs, from Walt Disney to Zecchino d’ oro, from jazz to blues to songs from all over the world, allowing children to cultivate their taste for music and by singing together, they discover new friends. 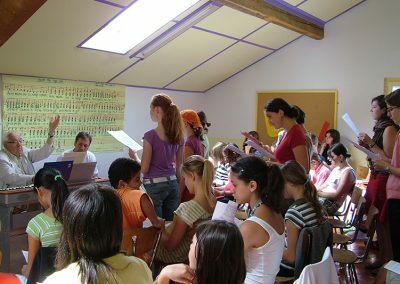 The Calicantus school welcomes all children who wish to sing and offers free courses for primary school children. No previous musical or vocal skills are required and no audtitions are made. 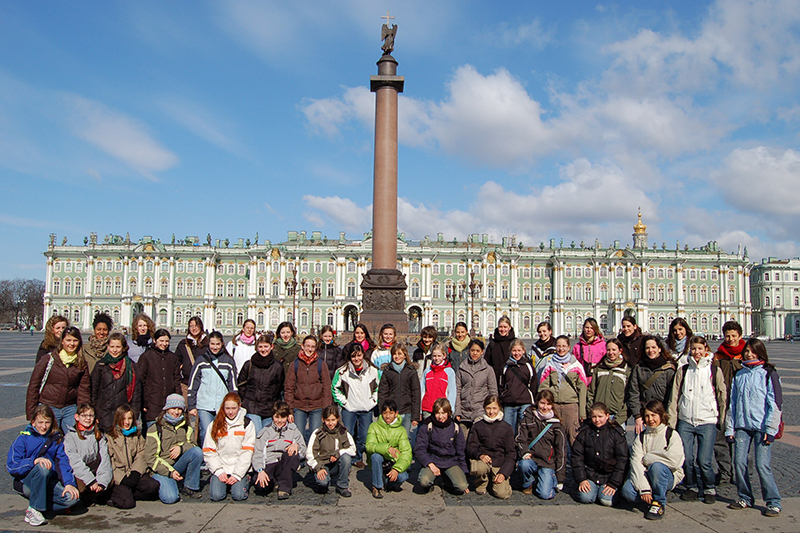 The “Calicantus Choir“ is the concert ensemble of the School. 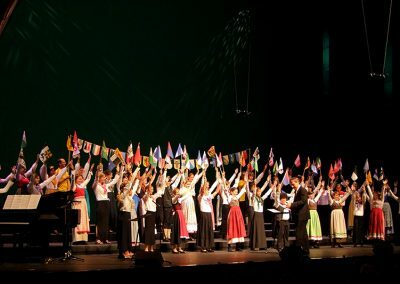 Its repertoire includes pieces from the Renaissance and Baroque up to contemporary compositions and songs of international folklore performed mostly in the original language. Calicantus is regularly called upon to perform world premieres and collaborates with internationally renowned maestros and choirs. 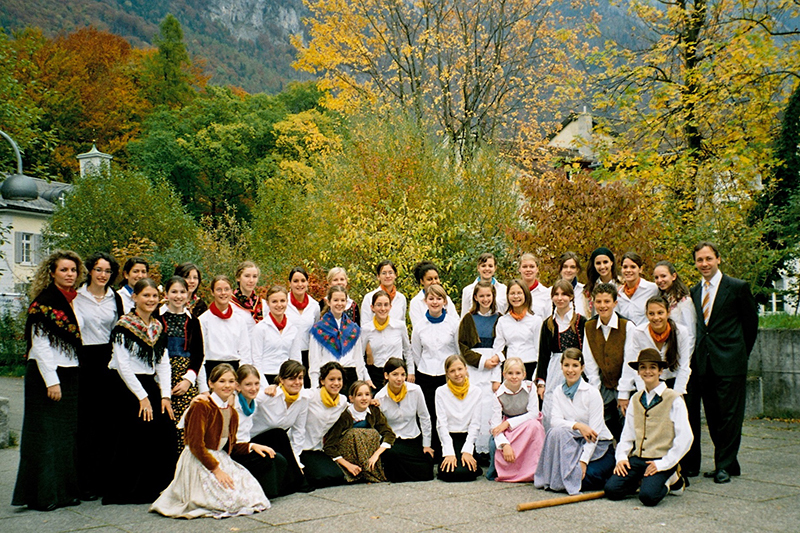 Calicantus represented Switzerland in Canada at the World of Children’s Choirs Festival in 2001 as well as on over a hundred tours across Europe. It has received various awards. 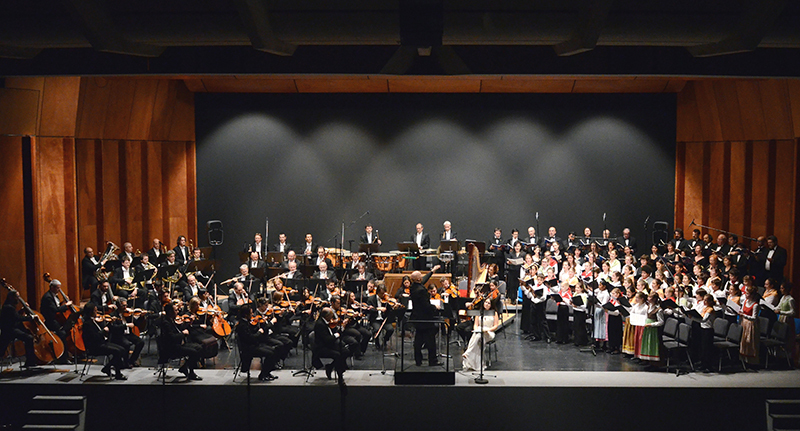 The choir regularly collaborates with the Ticino composer Ivo Antognini and with Radio Svizzera. 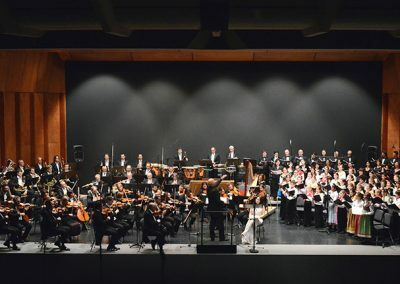 It has recorded the work of F. J. Gossec “Le triomphe de la République” and performed the “Oratorio de Noël” by C. Saint-Saëns and the “Magnificat” by J. Rutter with the Orchestra della Svizzera Italiana under the direction of Diego Fasolis. The collaboration also extends to other music schools such as the Locarno Popular School of Music, the Conservatory of Italian Switzerland. The mission that moves the Chorus Calicantus, in addition to the artistic and cultural development of young people has resulted in numerous charity initiatives for the protection of children, in collaboration with various institutions and associations including Terre des Hommes, Unicef, Doctors without Borders.